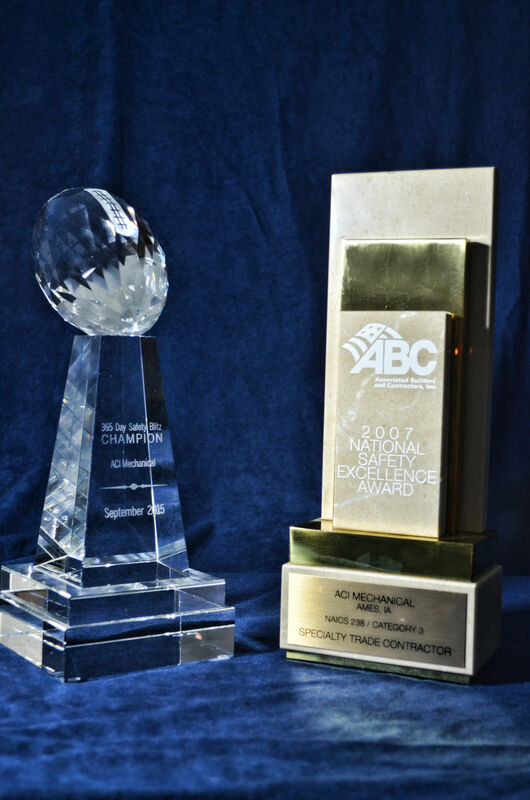 The ACI Mechanical team won this Associated Builders and Contractors National Award of Excellence for the Emergency Chilled Water Piping Replacement project at Houston’s George Bush Intercontinental Airport. The ACI Mechanical and Comfort Systems USA team served as the general contractor for this $17.3 million dollar piping upgrade that included over 5,300 feet of 36” heavy wall custom fabricated carbon steel piping that followed the curvature of service road, installation of large steel pipe bridges over the main roads in and out of the airport, countless concrete supports and major landscaping upgrades. For additional information about this and other award winning projects completed by our team, please see the case studies section of our website or give us a call! The ACI Mechanical team has won the Associated Builders and Contractors of Iowa’s coveted Project of the Year Award four times in the past nine years. This award is given to the project scoring the highest out of all projects submitted regardless of project type or size. The projects are judged by a third party with the points given for overall project complexity, uniqueness, client satisfaction, safety, quality and member involvement. When our clients receive this award, it signifies their project was among the very best in Iowa during that calendar year. For additional information about these and other award winning projects completed by our team, please see the case studies section of our website or give us a call! The ACI Mechanical team and our clients have won more than twenty-five Associated Builders and Contractors of Iowa Excellence in Construction Awards over the past fifteen years. 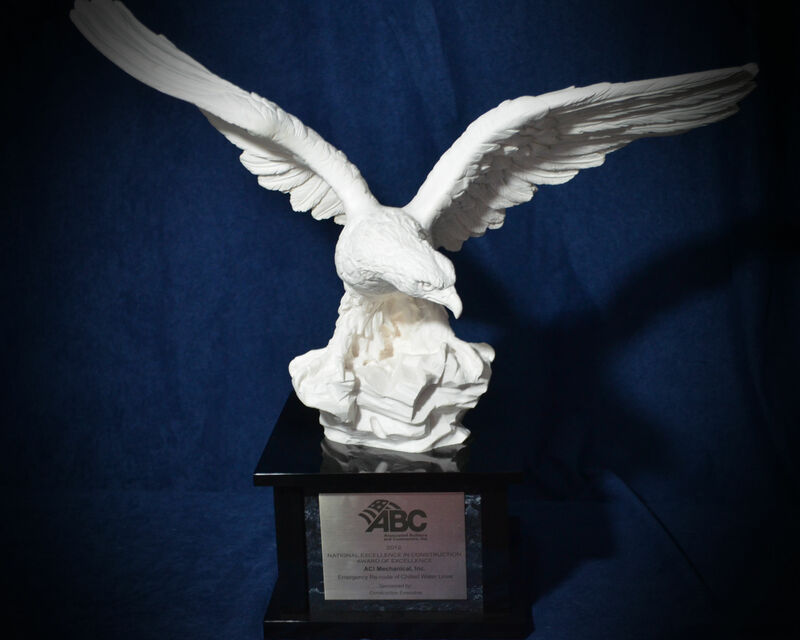 Each year we submit those projects that we believe meet the criteria for both complexity and uniqueness for consideration in the ABC of Iowa EIC Awards competition. In addition to the requirements for complexity and uniqueness, each project has to have an outstanding safety record, high standard of quality and overall client satisfaction to be considered for award. For those projects receiving an award, we invite our clients to attend the annual awards gala so they can go on stage to receive their award. 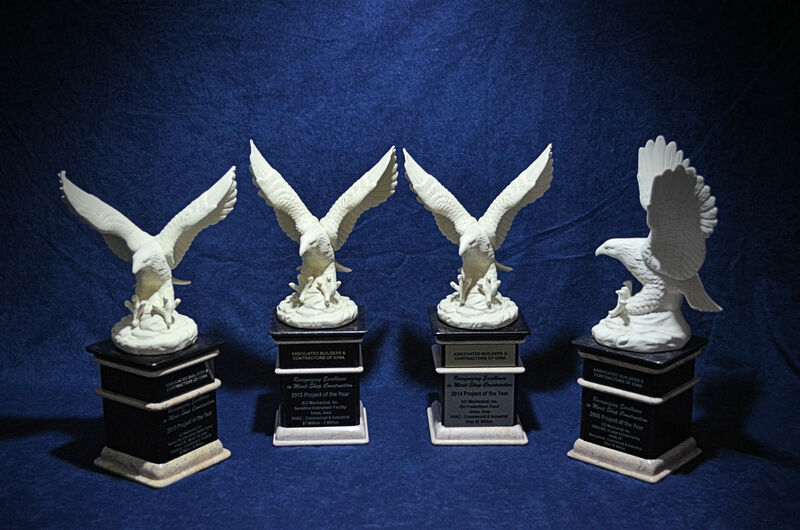 All of the project related awards in our office are duplicates, the awards received that night go home with the client whose project received the honor. For additional information about these and other award winning projects completed by our team, please see the case studies section of our website or give us a call! There is nothing more important than the safety of our team members, clients and those working around us as we complete our work. Over the past few years our team has had two years with zero recordable injuries and have never finished the year with an injury rate higher than 3.0, which is well below the industry average for the mechanical construction industry. 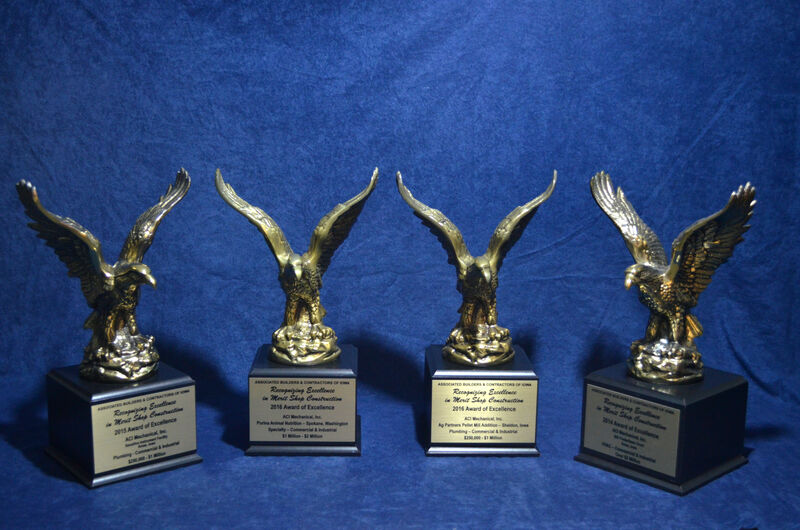 As a result of effort of our team, we have been recognized for by both Associated Builders and Contractors at the national level and Comfort Systems USA. This past year we received the crystal football shown in the photograph for being accident free for over 365 days. As a result of our efforts, our team has an EMR rating of 0.62. For more information regarding our commitment to safety, please see the safety section on our website or give us a call!